When and why should we use a recruiter? Companies use recruiters for a variety of reasons including attracting top talent, saving time on an urgent hire, or keeping the need confidential. The best and most talented employees are generally head-down, hard working, currently employed, well compensated and appreciated for their contributions. More than likely, they are not “looking,” but may be open to changing for the right opportunity. This is especially true for science professionals who often think about their projects day and night. They might be ready for a change, but never see your opportunity. At PharmaScouts we actually read scientific literature and attend conferences so we can identify, contact, screen candidates who can come into your organization and “hit the ground running.” As a full-service firm, we stay involved in the hire and build long-term relationships to assemble effective, working teams. Why use science trained recruiters? Scientists are largely logic driven and time constrained. They don’t have time to teach people what they do and don’t see how such people could adequately represent them. When a recruiter has a genuine appreciation of their work, a foundation is established which leads to more open communications and greater trust. Science trained recruiters also represent your company more effectively to potential hires because they convey the opportunity, not just the job. Can using a scientist/recruiter save us money? A successful ad may result in hundreds of resumes which must be read and evaluated. Even when they apply, highly qualified scientists often are missed due to the nature of academic style curriculum vitae rather than industry friendly resumes. This is particularly true when someone unfamiliar with the scientific discipline does the initial screen. Paying senior level scientists and managers to screen out unqualified individuals, however, is not cost effective. In addition, job shoppers waste large sums of money. Consider the time and resources needed to screen 200 resumes, telephone candidates, arrange multiple schedules on multiple days, fly candidates in, provide lodging, meals and transportation, bring a candidate back for a second interview and pay for a spousal visit. Without some assurance that a candidate is serious, not vying for a counter-offer from their current company or evaluating their market potential, resources are at risk. Too often companies think they’ve found the perfect candidate only to be “left at the offer” not knowing why their proposal was rejected–and having to start the process all over. Good recruiters make the effort to learn about the candidate’s personal and professional needs in order to maintain expectations in a realistic framework and handle concerns before they become issues. Mutual understanding helps build trust. Ultimately, as a trusted advisor, such a recruiter can guide a candidate through these “moment of truth” realizations and help them overcome fears that naturally accompany change. What types of searches do you do? PharmaScouts offers several levels of service to meet your needs. 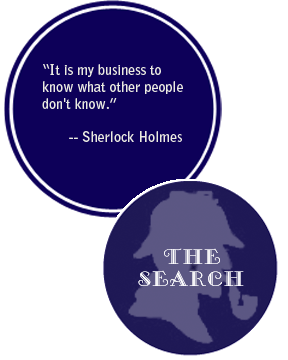 We provide three levels of searches. Contingency searches, where no fee is paid unless a candidate introduced by us is hired, allows a company to use several recruiters for a single position; however, these searches are generally given a lower priority. Retained searches often are necessary to fill senior level positions or positions with urgent timelines. The search is usually handled exclusively by one firm working in very close association with the senior management. A short list of the best qualified candidates is presented from which the client can make the appropriate selection. Typically the fee is paid in installments according to predetermined “milestones.” Our Engaged service is very popular because it is given greater priority than contingency searches, but is not as restrictive as a retained search. While a fraction of the fee is paid in advance, it is transferable to any other position in the company should a candidate be hired from elsewhere. At each level of service, good recruiters protect the confidentiality of both clients and candidates until mutual interest is established. For more information on the levels of searches, please contact us. What positions have you placed? We place science trained professionals in small to large biotechnology companies and in major pharmaceutical firms. Our placements range from PhD-level scientists to Directors and Vice Presidents for R&D including both chemistry and biology. (For preferred clients we also will handle some lower level research associate positions or recruit an entire functional team.) We also place patent agents and attorneys in-house because of the scientific training necessary to fulfill those roles. What should a company do in order to get the best service? At PharmaScouts, we recruit to your “ideal” but it is important to discern which qualifications are necessities and which are nice-ities. Good recruiters take time to learn about your company, technology, products and people in order to attract candidates who fit both personally and professionally. While the science is important, scientists are people too and care about their work environment and people interactions. Sharing information on things such as company culture, project goals, expectations and the personalities and backgrounds of existing staff helps us attract science professionals with the right “fit” all the way around. You can expect to see candidates who are technically qualified, able and willing to relocate if necessary, and who are looking for the next challenge and place to contribute. PharmaScouts facilitates hiring talented, motivated, happy science professionals.